Capture Fido's finest game of fetch forever. Every dog has its day. 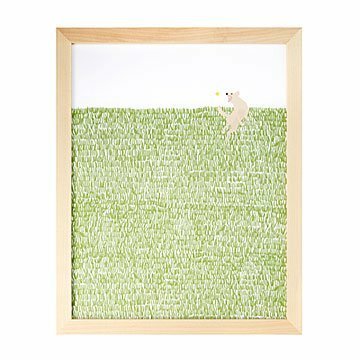 Illustrator and children's book author Jorey Hurley makes sure of it with this print, which captures Fido's finest game of fetch. Jorey finds endless inspiration in life's extraordinary ordinary moments and creates a drawing every day based on her encounters. Characterized by rich, flat colors and stylized subjects, her vibrant, blocky images show the influence of her work in textile design. Printed on matte heavyweight cold press paper with archival inks. Made in Oregon. This was the perfect gift!! !